With those words, more history has been made in the Sonic fan community, as Dean Sitton, the man behind the name “Ivo Robotnik,” joined Sonic Retro. 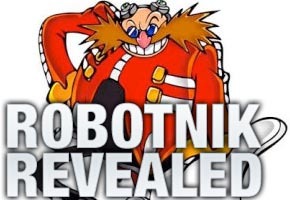 Robotnik was the localized name of Sonic’s arch-nemesis for years in the 2D Sonic era, until 3D Sonic and the Sonic Adventure series officially brought the Eggman name everywhere. Sitton began speaking out about his experiences with Sega and other big names in the gaming industry last night, noticing the discussion regarding another purported localization rep dishing details about the next Sonic on 4chan. Sitton isn’t “Wentos,” but he’s just as important to the history of Sonic. His resumé is illustrious and varied, dating back to 1989, when he started as a game counselor for Sega of America. Staying there until 1992, he moved on to many other venues in gaming, including writing for GamePro magazine and CNet, designing levels for the Genesis title Chakan: The Forever Man, testing Pandemonium and Pandemonium 2 for the original Playstation and the Genesis edition of Game Genie, cartoon voice acting, and creative consulting. Sitton is also credited with working on Konami Dance Dance Revolution: Ultramix 2, Universal’s Spyro: Season of Ice, and a 1993 Electronic Arts title, B.O.B., among many others. As a counselor at Sega of America, Sitton claims he answered more than 200 calls a day from gamers having trouble in levels, and played all of the Sega Master System games library as a part of that support system. Sitton fielded questions from several forumers. It’s expected he will continue to do so as a Retro member. There wasn’t really a term “localization” when I was doing this; it was really done through third party acquisitions. They would get lots of games and rate them\reject them\embrace them. We `SOS` didn’t know much about the fiction because there wasn’t really any at that time. It wasn’t really a `team` but 2 game councilors and the 2 producers saying this is called this and that is that. We would comment on game status as it was programmed in Japan. Each of these fictions has a life of its own…which is pointed out well in the history threads (at Sonic Retro…There’s SOA, Archie Comics, the several cartoons, the original japanese game and UK game versions. The original MegaDrive consumer version I saw at the time had little fiction other than rockstar DJ or something. There are many examples of a game changing depending on where it’s being sold. Robotnik is the name of the American localization of Eggman … the bad guy turned the woodland creatures into robots; seemed logical from a descriptive standpoint. `Ivo` also sounds like `Evil`. It’s not just the Robotnik name Sitton concocted. In the Retro thread, he also says he’s behind several classic badnik names, including Buzz Bomber, Bomb, Ball Hog, Caterkiller, Chopper, and Crabmeat. However, he makes clear that he wasn’t behind the actual “Badnik” name. Sleeping under your desk, putting in extreme hours, eating at work, dedication, all of these things employers want. If you’re making games or doing what you love, it becomes easier to do this. My experience was a rocky road initially. After I left Sega I had to hock a pc engine to fly to Vegas, sneak into CES and pass out resumes. I got a job and got my game back out of hock. That was my entry into the industry outside of the company. Being a contractor gives me the freedom that working salary cannot. It is harder\less stable living contract to contract though. The Q&A thread intially was a part of discussion concerning our Wentos story. When the attention quickly shifter to Sitton, Sonic Retro forum administrator Tweaker branched off and separated the two discussions. He also quickly established a Sonic Retro wiki entry dedicated to Dean Sitton. All in all, it is a proud day for the Sonic research community, and especially Sonic Retro administrators and forumers, as another confirmed insider is able to talk about Sonic history. Much more will come out of Sitton in the coming days and weeks relating to old-school Sonic and Sega, that much appears certain. Our team of reports will keep track of any and all information that we find out.